Lately I find myself checking out every one's watches. I have to admit, three years ago I had one watch. ONE! It had been that way since high school. I would own one watch, wear it daily for years then replace it when it was discolored or no longer working (whichever came first). I currently own seven watches. 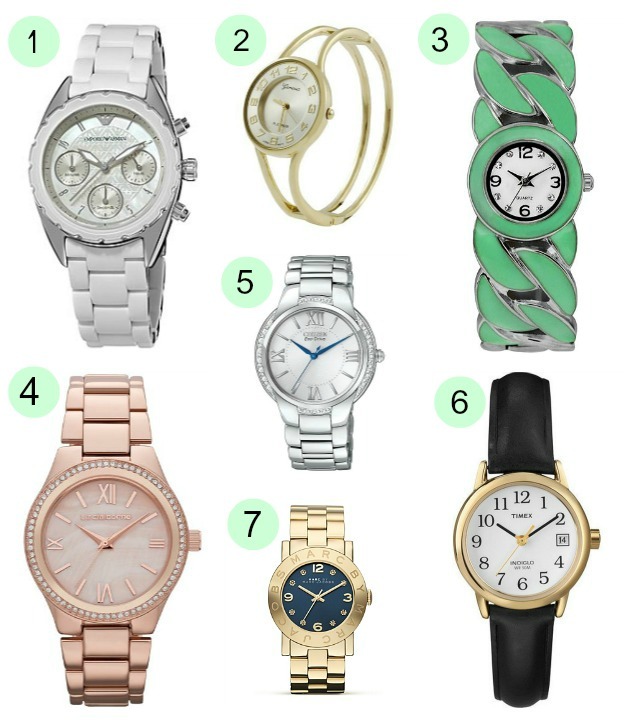 I love mixing them up now and find myself lusting over watches everywhere I go! I have a watch fetish so this post is like crack for me! i'm digging watches too! love the rose gold one best! I'm one of those that finds a watch and wears it all the time...till the battery dies! I may have two that I swap out, one gold and one with silver.